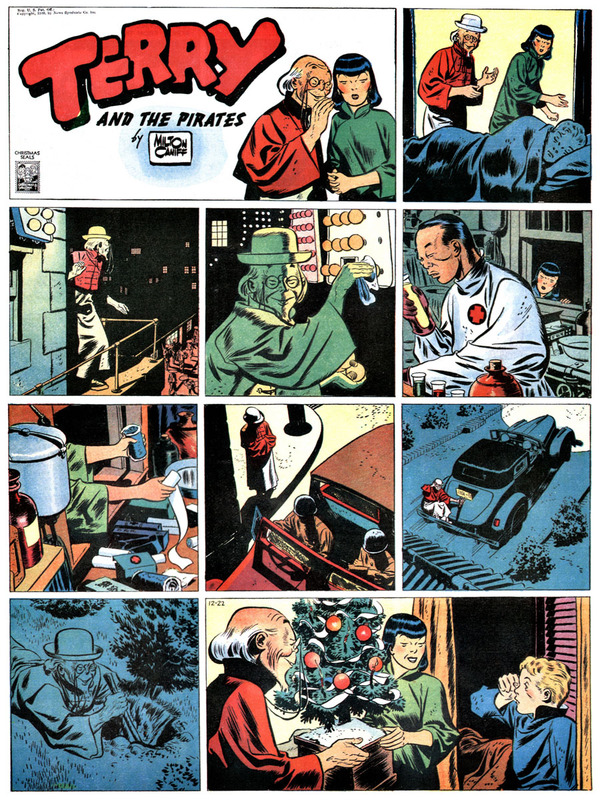 The following Terry and the Pirates strip is from 1940 and has Dr. Ping and Hu Shee (Chinese guerrillas battling the Japanese who’ve invaded their homeland), trying to bring some holiday cheer to their injured stowaway, Terry. Caniff could do a humerous take for a holiday strip, but some of his most poignant are his more serious reflections. Note: Click on image to see larger. Talk about connecting with the reader. It’s this kind of commitment to the craft that separates the pros from the amateurs. For more of Caniff’s holiday strips check out the following article originally published in the Henderson (N.C.) Daily Dispatch by David Irvine. 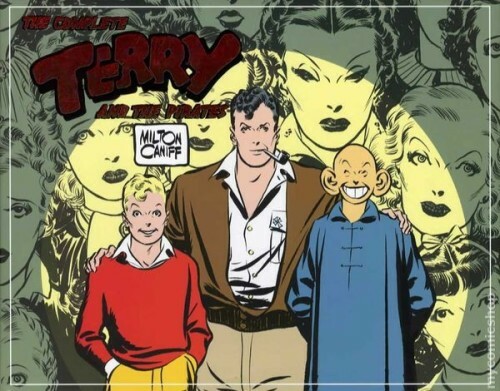 For more Terry and the Pirates, make sure to check out The Library of American Comics’ The Complete Terry and the Pirates – HIGHLY recommended! This entry was posted in Milton Caniff and tagged Milton Caniff, Terry and the Pirates. Bookmark the permalink.